I'm the busy mind behind the Tales of the Brass Griffin and Wayfarer League series. I also write, and take full responsibility for mystery, science fiction and fantasy stories. At some point I plan to sleep, but that would be after a little more coffee! Here you'll find information on Tales of the Brass Griffin, Wayfarer League, news of future work and other related items. Short stories and other small bits of fiction that captured my imagination are kept here as well. 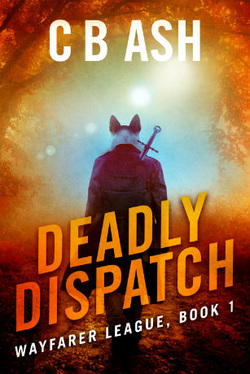 Deadly Dispatch - now available through Channillo!